TORONTO (Apr. 8) — It’s alright. Call me crazy. Measure me for a straight–jacket. Order blood and urinalysis. Administer a warm, soapy enema if you think I’m full of sh**. But, in the end, be sure to remember where you read it — the Toronto Maple Leafs are finally going to shake the Boston playoff anvil. And, it’ll happen this way: the clubs will split the opening two games at TD Garden. Toronto will prevail in Games 3 and 4 at home. Boston will bounce back in the fifth match. The series will end at Scotiabank Arena in Game 6. Forget about another Game 7 calamity on Causeway Street. The Bruins will be cleaning out their lockers that day. In the name of Jack Edwards — and before the final week of April — the NBA Celtics will have God’s playpen to themselves. There is nothing quite as virulent as the law of averages. Not to mention the hot sticks of people named Matthews, Tavares, Marner, Kadri and Kapanen. Nylander? I’m not so sure. But, neither will it matter. The Bruins, at last, will lay in ruins… abolished by the newbies to the north. Why, you may ask, am I going against the grain? If you line up 100 people in both cities, 98 will favor Boston. With yours truly and one other schlemiel begging to differ. Accordingly, my reasons are rather unscientific; more from the gut. Primarily, I look at two of the best goalies in the National Hockey League (Tuukka Rask and Frederik Andersen), neither of which has been playing worth a damn lately. One of them will be the reason his team wins the opening–round series and I suspect Andersen will prevail. The inactivity incurred at mid–season, when the big Dane appeared only four times in a six–week stretch, should be a factor as the series progresses. It is clearly Andersen’s time to prove he’s a playoff–caliber stopper. Right now. Furthermore, the Bruins have not–yet encountered a Leafs team in the playoffs with Morgan Rielly and John Tavares — a 70–point, Norris Trophy candidate accompanied by a bona fide 50–goal scorer. For years, I’ve been lecturing in this corner that the Leafs will not end their interminable championship drought in the absence of such a blue–liner. This season, Rielly joined Ian Turnbull and Borje Salming as the only Leafs defensemen to break the 70–point barrier (with 72). He provides the club that long–missing component. Tavares, last summer’s free agent bonanza, is the most–determined and prolific scorer on the Toronto club since Dave Andreychuk converted Doug Gilmour’s feathery feeds a quarter–century ago. He and Rielly, playing the best hockey of his career, offer the Leafs a different look than last spring, or in 2013. I sense that each will perform to standard — and perhaps beyond — once the puck drops Thursday at the TD Garden. In fact, I suspect most of Toronto’s big gunners will give Rask trouble. There’s no reason for Auston Matthews to go silent once again in the playoffs. Mitch Marner is a year older and wiser, coming off the most–prolific Leafs season (94 points) in more than 20 years. He’ll grow increasingly unencumbered by high–leverage games. Keep your eyes, especially, on Nazem Kadri, who is likely to ramp it up after a discouraging regular season. By Leaf standards, Kadri has accrued ample playoff experience (17 games) since 2013; he’ll be sky–high for this series. An obvious bonus for Toronto would be William Nylander re–discovering his touch around the net. But, it’s hard to anticipate such a scenario after his four–month struggle. Let’s also remember that the core of the Leafs (Matthews, Marner, Nylander, Rielly, Jake Gardiner, Andersen) has experienced the old adage of needing to lose in the playoffs before learning to win. Do not underestimate the zeal of this young team after the first–round eliminations by Washington and Boston. Or, how fiercely the Toronto veterans want to exact a measure of revenge on the Bruins — for the Game 7 embarrassment of last April and the two lop–sided matches at TD Garden this season. When you think about it, the Leafs should be more determined than Boston to advance beyond the opening round. The incumbent Bruin players have been to the mountaintop; several remaining from the Stanley Cup win over Vancouver in 2011 and the Cup–final loss to Chicago in 2013. The Leafs are bursting for such elation. Of prime importance is the health of the entire Leafs roster. Toronto is a much–different team with Gardiner and Travis Dermott in the line–up; few clubs, in fact, would be impervious to losing two of their top four defensemen at the same time. With Rielly, Gardiner, Dermott, Jake Muzzin, Ron Hainsey, Nikita Zaitsev and Calle Rosen all available to Mike Babcock, this is clearly the Leafs’ best chance to turn the table on Boston. MITCH MARNER (LEFT) AND JOHN TAVARES. TWO REASONS BY TORONTO WILL DEFEAT BOSTON. More than anything, however, my gut tells me it is finally Toronto’s turn. Don’t allow the regular schedule to dissuade you from trusting this speedy, gifted club — neither the results against Boston nor the late–season downturn (5–7–4 in the final 16 games). 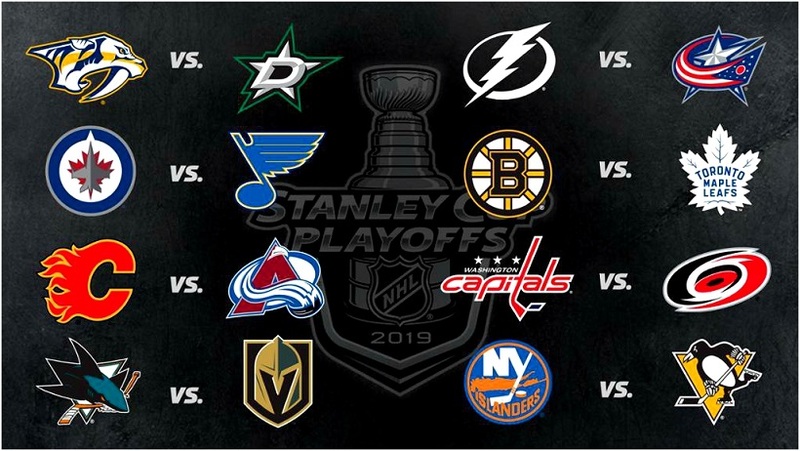 The six–month span from early–October to early–April is nothing but a tune up for the games that count. In my mind’s eye, I still see the 1977–78 Leafs looking so instantly–resolute to begin the playoffs after a 2–10–0 tailspin to end the schedule. Series wins over Los Angeles and the Islanders found that team in the Stanley Cup semifinals. The current Toronto team can similarly flip the switch on Thursday night in Beantown. All of this said, I’m not here to minimize or undervalue the Bruins. Patrice Bergeron, Brad Marchand, David Krejci, David Pastrnak, Zdeno Chara and Co. has proven it can win… and handle the Blue and White. Should Boston ultimately prevail in the opening round, not a soul — this one included — will be taken aback. There are sure to moments in the series during which anguished Leaf fans lose hope. In the end, however, I anticipate the front–loaded Toronto club to finally, and arduously, solve its predicament against the Bruins. The time has arrived. It will unfold one week from Sunday (Apr. 21) in Game 6 at Scotiabank Arena. TAMPA BAY vs. Columbus (Lightning in 5). 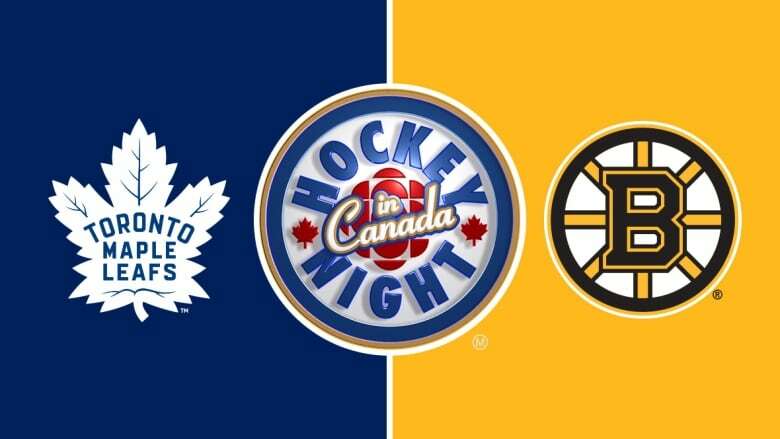 BOSTON vs. Toronto (Maple Leafs in 6). WASHINGTON vs. Carolina (Capitals in 6). NEW YORK ISLANDERS vs. Pittsburgh (Penguins in 7). CALGARY vs. Colorado (Flames in 6). SAN JOSE vs. Vegas (Sharks in 7). NASHVILLE vs. Dallas (Predators in 5). WINNIPEG vs. St. Louis (Jets in 7). Hey….What the heck is going on here? Aren’t you THE Howard Berger who was accused (along with many sportswriters/casters and fans) of always being “negative” towards the infallible Toronto Maple Leafs? Could it possibly be that all along you were honestly and correctly assessing the local team and it’s position? I always appreciate your work Howard, and the images and recollections from your collection bring back fond memories. I don’t think that it is going to be an even series. If Toronto plays up to its full potential (has it ever this year? ), they can walk over the Bruins. I could see the series end in 5 games under those circumstances. I could also see them underperforming and losing in 5 games. I watched some of the previous series this week. I think that we overstated Matthews play. He didn’t score but, in looking at it a second time, he was playing pretty well. Some of it was bad luck. Overall, their biggest issue was having difficulty moving the puck out of their own end. That’s significantly improved this year. The defence should be better. Meanwhile, Boston got arguably weaker, particularly on the 3rd line. If they play up to potential, Boston can’t compete beyond their first line. My biggest cause for uncertainty is their inconsistency over the season and over the last couple of months. The biggest strength of Boston is their “will to win”. Toronto needs more of that this year. Bless you Howard, a Toronto reporter(still should be) who believes in the Leafs. Howard, I usually agree with you on most discussions involving the Leafs, but not this time. However, maybe working at Benjamin’s has given you some pull with the man upstairs. If so, this could really happen! Not sure how Tavares is a bonafide 50 goal score exactly? I believe the standard is actually scoring 50 goals! That said, appreciate your enthusiasm and am likewise bullish on the buds. Sue me. I was off by three. I am glad you mentioned Rask’s struggles. His numbers are downright terrible since the beginning of March. I really feel that issue is just swept under the rug(Andersen’s struggles are documented everywhere). I do think Tavares will be a huge difference. Too much depth and skill upfront. I agree, Leafs take it in 6. If you break down last Spring, Leafs lost in the 3rd period of game 7 with Matthews getting 2 points in the series, Kadri suspended 3 games, Andersen posting .896 save%. Will that repeat+Tavares and Muzzin have no impact? Doubtful. The way people speak you would swear it was a sweep last year for Boston.